was there any parts in this montrer that have made u cry? if so, which parts? idk, just wondering. there have been times i've cried from watching it. There were a few; the big one was Iroh's tale in "Tales of Ba Sing Se" for two reasons, Iroh honored his only son who died in the war, and when this part of the episode was dedicated to Mako, the actor who voiced Iroh and who recently passed away. the other one was at the end of "the serpent's pass" when Aang saw the new baby, and after keeping his feelings hidden, finally let his emotions take over, and cried-realizing it's ok to feel. and in "the old masters" when Zuko was reunited with Uncle, and telling him how sorry he was-before he could finish, Uncle grabbed him and embraced him and told Zuko he was never angry, only sad...that he had Lost his way...but he found his way back. An overwhelming expression of unconditional love. That was so depressing. I've seen the montrer like a gazillion times and I still cried. The final! It was sad that the montrer ended!!!! I cried right as it was ending! I cried cause I thought I would never see an ew Avatar episode ever again. Same(ish) the final was realy sad. (1) Aang and Katara leaving the gang in the jasmin Dragon without a word, gazing at each other, embracing then s’embrasser in the very last scene - classic! 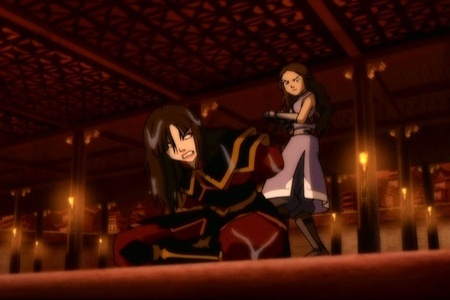 (2) Katara seeing beyond the Avatar state - Aang in his scariest and potentially most devastating moment when he confronted the sandbenders for selling Appa - and embracing him in spite of this: a truly superhuman feat, made possible only par her l’amour for him, enebling her to see him as but a boy in the throes of his own otherworldly power. Cried when Aang cried. 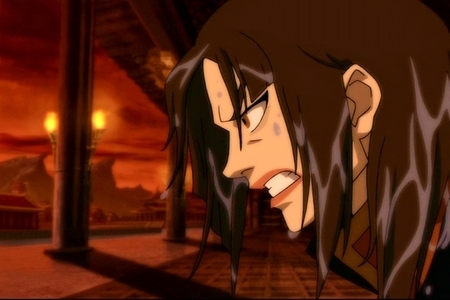 Truthfully, he's the character who cried most, followed par Katara, then Toph, Sokka. Some of the back stories were really sad but they didn't make me cry. Yes, I cried when watching ATLA for the first time today, upon rewatching the Iroh mini story in the episode Tales of Ba Sing Se.